In order to prevent the expense of annual 2019 government registration fees, an appointed liquidator will be required to hold the final general meeting for a company or file the final dissolution notice for an exempted limited partnership on or before 31 January 2019. Furthermore funds that are registered with the Cayman Islands Monetary Authority (″CIMA″) pursuant to the Mutual Funds Law (2015 Revision) (″Funds″) will need to have commenced their liquidation and have submitted documentation to have their CIMA status changed to license under liquidation by 31 December 2018 if they are to avoid their annual CIMA license fee for 2019. Consideration for Funds should be given to CIMA’s requirement for a final stub audit. Given CIMA’s current practice, it is exceedingly unlikely that terminating Funds will be granted a partial year audit waiver. Therefore, it is our recommendation that Funds plan to complete a final audit for the period either, up to the date of the appointment of a third party liquidator or to the date of the full payment of the final redemptions. Funds will need to allow for this, both in terms of the time required to prepare and submit the audited financials as well as the associated costs. Maples Fiduciary has also developed a solution for those vehicles that can’t be liquidated due to holding distressed or illiquid assets. FLP Investments Ltd. ("FLP") was established to take worthless and illiquid assets (subject to certain criteria being met, transfer documentation being executed, a nominal one-off fee and basic terms and conditions being agreed for the sale) in both definitive registered and global form. The timeframe for completing any possible transfer is dependent upon the availability of documentation, notice periods, transfer restrictions and, where an administrative / transfer agent is still in place, their willingness to assist. It is therefore important to start these conversations as early as possible whilst parties are still engaged and willing to acknowledge transfers (if required). Maples Fiduciary boasts the largest voluntary liquidation team in the Cayman Islands comprising dedicated individuals with extensive experience. We have developed best practices procedures in the dissolution of various structured finance vehicles and investment funds that meet all local statutory requirements. For a straightforward voluntary liquidation of a Cayman Islands company, Maples Fiduciary can generally complete the formal statutory process within four to five weeks. For further information on the team and our liquidation services, please view our Overview of Services and Frequently Asked Questions. Additionally, you may wish to refer to legal guides from our affiliate, Maples and Calder with information on how to prepare your entities for liquidation and the statutory process: Voluntary Liquidations of Solvent Cayman Islands Companies and Voluntary Dissolution and Winding Up of a Cayman Islands Exempted Limited Partnership. 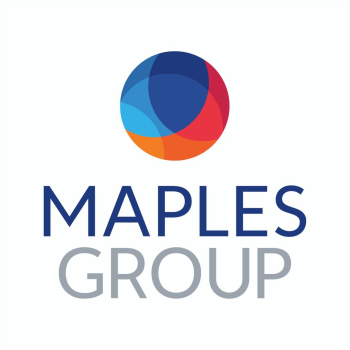 Please do not hesitate to contact your usual Maples contact who would be happy to discuss your liquidation needs and answer any questions you may have.